Anyway, now that the Start tab is there on startup, I usually create a new file from my default template, and had been using the Templates drop-down list to choose a template. Here at home, the list of templates is pretty long, but the last template used has the initial highlight, making it semi-easy for me to select it again most of the time. At work, the list is much shorter, making it even easier to get the right one. 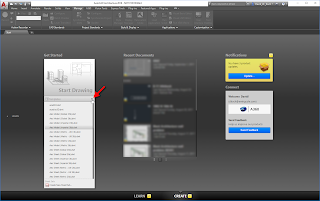 I had been doing that for years, until I discovered that the Start Drawing rectangular area just above the Templates drop-down list is not just pretty graphics - it is a giant button, and will start a new drawing with the template assigned as the QNEW template in the Options dialog for the current AutoCAD Profile. 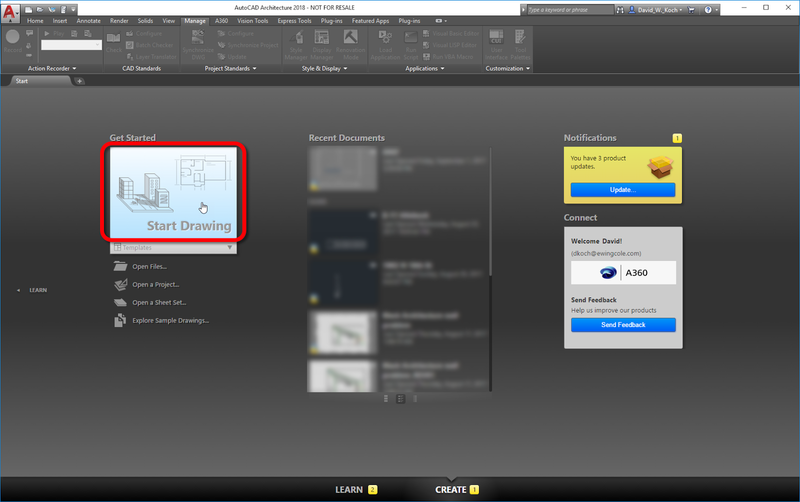 That is the template I use for Drawing1 99.99% of the time anyway, so now I can save at least three to four seconds and a click every time I start the program by clicking on that button instead of using the drop-down list. PS. Yes, I see the notification that I have three product updates. I checked, and they are for various versions of Revit®. I promise to download and install them soon.